Finally, different regions and cultures speak in different ways. People may say real words and yet we have no idea what they mean. 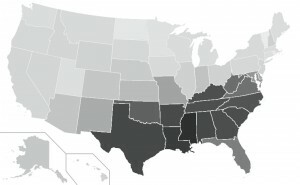 Southerners, African Americans, and New Orleanians are three groups in the United States with distinctive vernaculars. Southerners, for example, may use the word y’all. 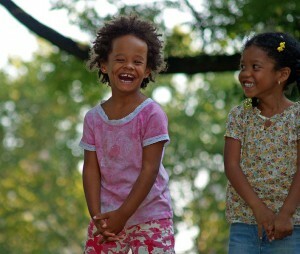 This word has a specific place occupied by no other word in the English language. As a contraction of the words you and all, it serves as the plural of you. So, for example, if a girl is ordering a sandwich from a guy at the sandwich shop and she asks, “How do you usually slice your sandwiches?” she is asking that particular individual how he slices sandwiches. But if she asks, “How do y’all usually slice your sandwiches?” she is asking how the shop usually slices its sandwiches. New Orleanians also have special words and usages. Would you know what to do if someone told you, “Go to the store across the neutral ground and make some groceries. While you’re there, you might be able to get a poor boy, dressed if you want. The pickle will be lagniappe.” A more common way of saying the same thing would be, “Go to the store across the median and buy some groceries. While you’re there, you might be able to get a sandwich, with lettuce and tomato if you want. The pickle will be free.” To see more unique expressions of New Orleans, check out The Language of New Orleans on this website. 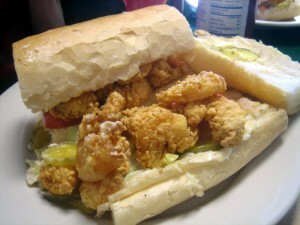 Of course, in New Orleans, nobody actually says “poor boy.” The correct way to pronounce it is “po-boy.” Here is a fried shrimp po-boy, dressed. Dee-licious!